Allows leaders to blacklist users from their group so they can no longer apply. 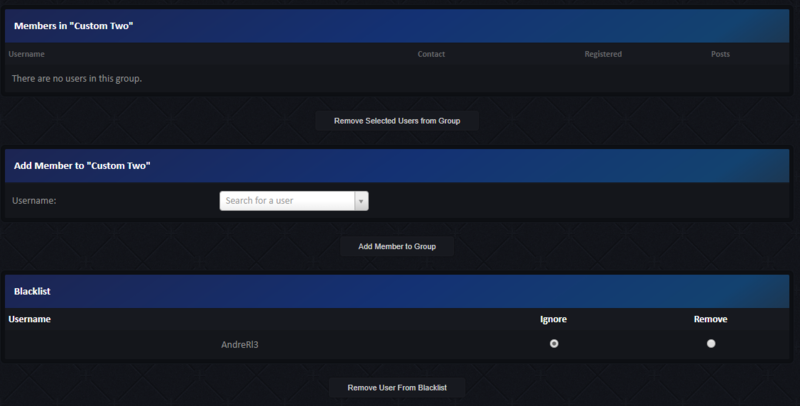 This wonderful plugin allows group leaders to blacklist users from their group. Once blacklisted, the user can no longer apply to the group. Group Leaders can access the feature by visiting the Group Management page. Note: If a user is already on the blacklist, and the plugin is disabled (enable setting ticked off), group leaders will then only be able to remove blacklisted users and can no longer add to the list. This is NOT a bug at this precise moment. Credit to xadamxk for the idea and suggestion.